Millions of people around the world are waiting for this moment. The Royal baby boy was born today at 4:24 p.m. Catherine and William, the Duchess and Duke of Cambridge, welcomed their first child who will be called His Royal Highness Prince ..... (name to be announced in due course). The child will be third in line to the throne. Catherine was brought early morning to the Lindo Wing at St. Mary's Hospital which is next to Paddington Station in London. It is the same hospital where Princes William and Harry were born. The world is celebrating for the arrival of the Royal child. People all over the world gathered outside Buckingham Palace and crowds of well wishers cheer at London's St. Mary Hospital. Celebrities reacted and have sent their best wishes to the couple. It's a feeling of excitement for this great part of the history. 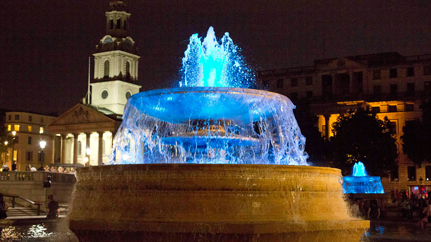 The fountains at Trafalgar Square in London, England were turned blue. The CN Tower here in Toronto, Canada will be lit up in blue. The Peace Tower in Ottawa in Canada illuminating with blue lights. The Niagara Falls in Ontario, Canada will also be lighted in blue. 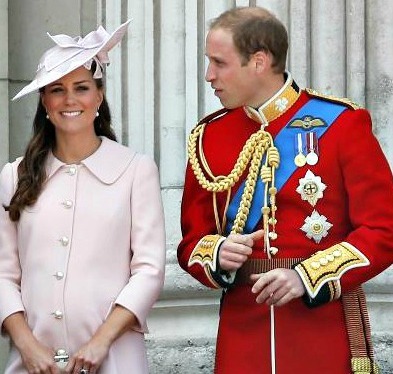 News report indicated that William issued a brief statement that he and the Duchess "could not be happier."